Both Charles and Ray Eames were accomplished artists & painters before anything else, the discipline rather went hand in hand as a creative foundation to everything they ever produced. Charles famously traveled Mexico by funding the trip through selling Eames art whilst Ray took a rather more traditional root by studying under Hans Hofmann, the German born abstract expressionist painter in New York. Whilst genuine hand painted or drawn artworks of either Charles and Ray come along very rarely, you can find something of their artistic nature in everything they created. It was undoubtedly a contributing factor in producing designs that were not only functional, technically innovative but also visually stunning. Apart from infusing art into their creations, they were from time to time also producing Eames artwork for magazines covers, books or timelines. Perhaps the most well-known artwork of Charles and Ray Eames to be used commercially were the magazine covers produced for the California Arts and Architecture Magazine during the 1940’s. The covers were designed by Ray, at the commission of family friend and acquaintance John Entenza whom had taken over as owner of the periodical. Ray produced some 26 covers for the magazine between 1942 and 1947 and the majority sported abstract designs very much borne from the training Ray had undertaken with Hofman in New York. 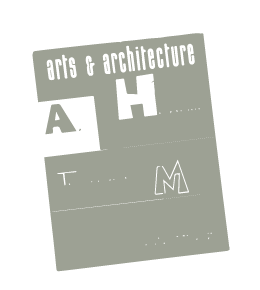 The Arts and Architecture magazine fast became an important journal of the booming post war period when creativity in design was very much allowed to be without restraint and very forward thinking. It all started with Entenza who was very much the influencer and the work by Ray contributed into making the magazines contemporary and relevant to the times. The magazines are hard to come by today and the issues with Ray Eames covers covet the highest value when they are found. Charles did produce Eames artwork for a cover of a magazine too, the second edition of the Portfolio Magazine issued in 1950. 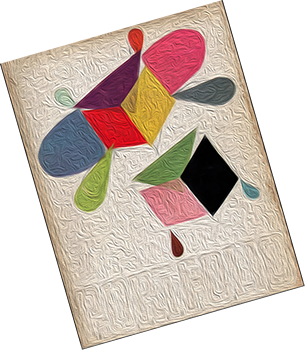 The cover had a laid out two-dimensional image of a Charles Eames Kite design which was cleverly printed as to appear as though the kite panels were the semi-transparent tissue paper of which they were made in. 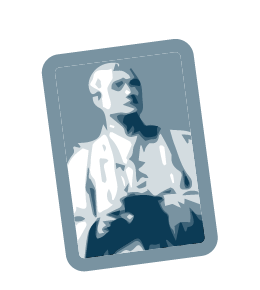 The magazine also contained a large-scale article on the work and life of Charles which spanned some fourteen pages. Portfolio was short lived but was a high-quality publication and very heavily art orientated. 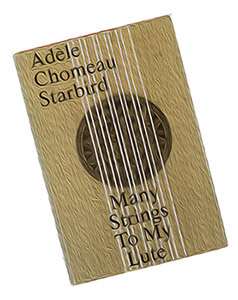 Charles and Ray would produce artwork for dear friend Adele Chomeau Starbird’s 1977 book entitled Many Strings to My Lute. The illustration for the book was simple and effective, clearly made with the intention of not distracting the buyer and reader from the book itself. The work was a collection of articles and stories, columns and writing by the named author whom had a distinguished career, including being Dean of Women at the Washington University for nearly 30 years. The Eames Office was producing graphics for Herman Miller from the late 40’s and contributed no end of high-quality Eames artwork for exhibitions for numerous companies including the likes of IBM. But as we are only concentrating on designs that could be found in the secondary market the next major artwork would be the ‘timelines’. These were a series of beautiful illustrated posters using images that show an historical chronology. 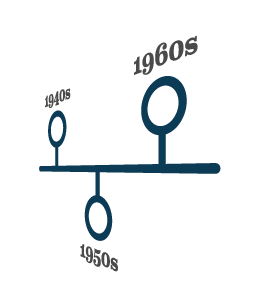 The first timeline produced was in 1966 and called the Men of Modern Mathematics. It was a shortened down version of a timeline created by the Eames Office for IBM’s Mathematica exhibition and the wall chart cleverly mapped the evolution of the important men and events that shaped the world of mathematics through time. The poster was distributed to educational institutions by IBM and this makes them findable, albeit in short number. Using the brilliant timeline concept that worked so successfully for the Mathematics artwork, the Eames Office produced the Pictorial History of Herman Miller in 1967. It captured the history of the company since 1927 through till 1967 including the work of Charles, George Nelson and the likes of Gilbert Rodhe during the 'art deco' 1930’s. The poster was printed for a good number of years and this is the most commonly found timeline found in the secondary market. The final timeline arrived in 1978 and was entitled the German Mathematica Timeline. It was, for the most part, a German translation of the original 1966 Timeline, made for IBM’s German contingent. The actual name was ‘Bedeutende Mathematiker’ and was printed in German language and had two additional German based mathematicians added to the chronology.